Our Mission Our local communities have many Veteran Service Organizations that help our Veterans with Education, Housing, Therapy, and Finances. The mission of Save-A-Joe, Inc. is to partner with our local small businesses, Corporate Sponsors and our community members to raise money to assist these Veteran Service Organizations. 100% of all funds that you help us raise will be donated to help fight Veteran Homelessness, to provide assistance to our Disabled Veterans, and to assist our Veterans living in VA Homes in our local communities. 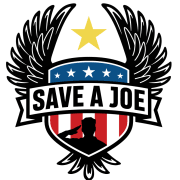 SAVE A JOE PRESENT 2 EVENTS IN 2019 and will be looking for volunteers . SAVE A JOE 5K will be held on Sunday May 19th 2019 in Batavia Illinois on the Riverwalk.